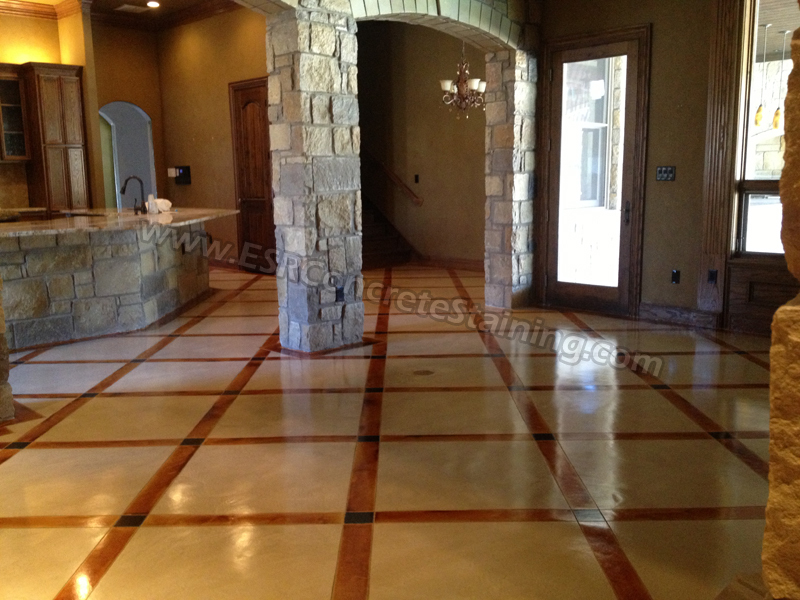 Acid staining is one of the most popular flooring systems available today. 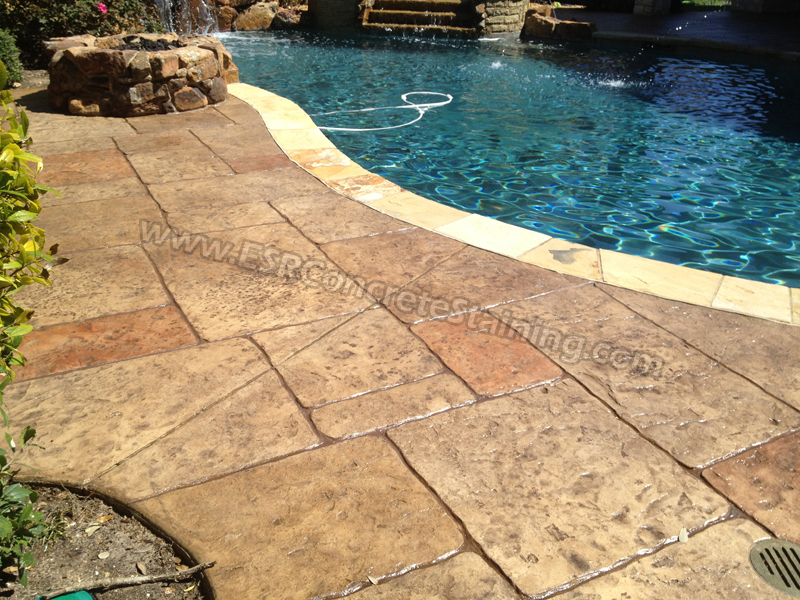 The beautiful variations in color, easy maintenance, allergen friendly, and durability are a few of the benefits that acid staining concrete has to offer! 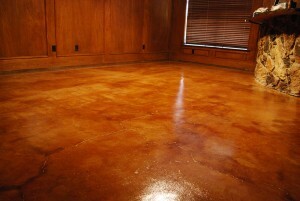 Acid staining concrete offer rich earthy tones that can resemble natural stone, marble, wood, and worn leather. The possibilities are endless with staining concrete! 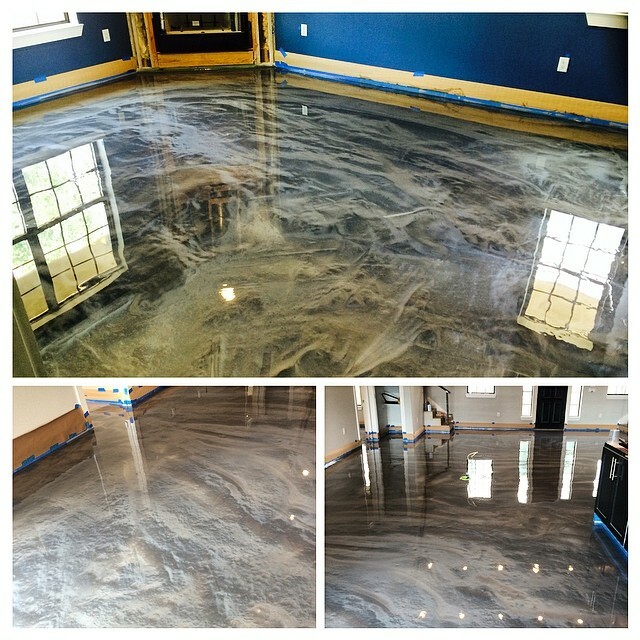 Acid staining is great for residential home, pool, driveways, garage, and commercial concrete floors! Acid stains are a mixture of metallic salts, acid, and water. 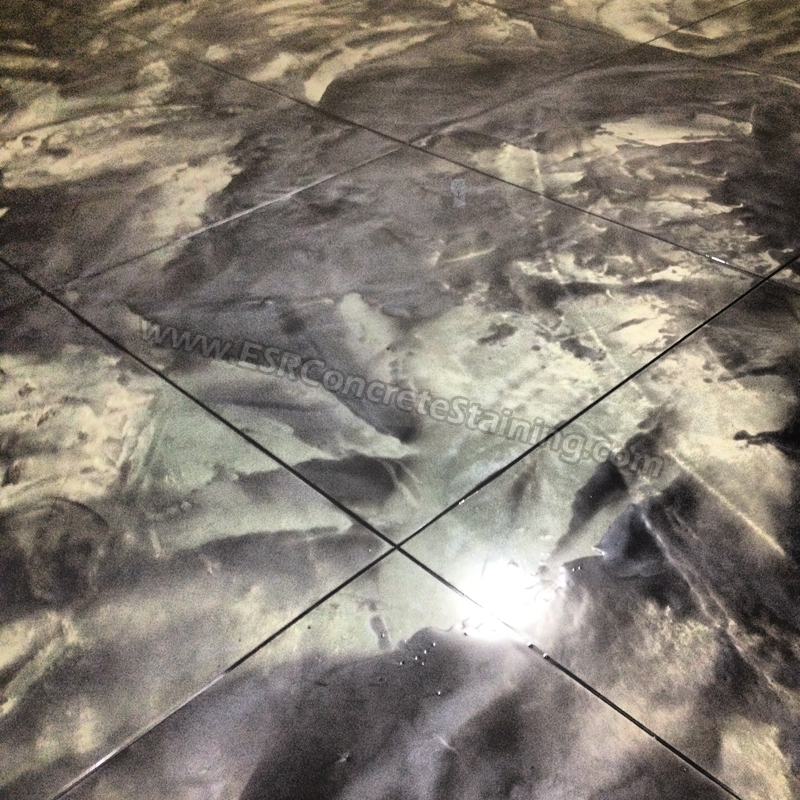 The color with acid staining is achieved by the stain penetrating the concrete surface and chemically reacting with the lime (calcium hydroxide) in the concrete. The stain is etched into the concrete and will not chip off or peel away. The color of acid staining can never be controlled. 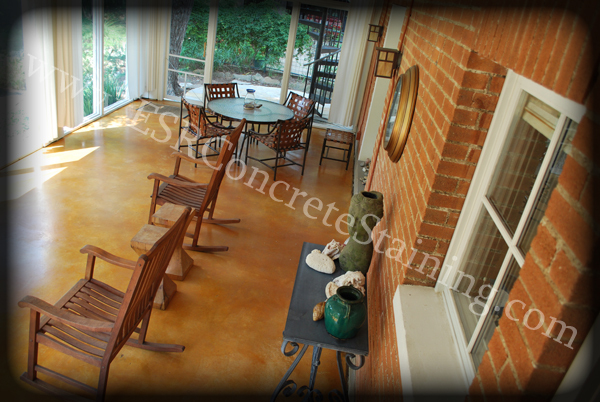 Variations in the concrete create the different highs and lows of color throughout the slab. Colors of acid stain are limited to earthy tones such as tan, brown, or soft blues and greens.